Securing finance to help you start your own business has become a lot more difficult recently. Previously, banks would lend money with comparative abandon. Today, they're more reticent, despite government interventions and encouragement. There is, however, another way of raising cash to fuel your business dream: crowdfunding. You've probably heard the term and maybe even explored sites such as Kickstarter. If not, crowdfunding enables you to present your business plan to a potentially huge audience of internet users. If they like what they see, they may help you finance your dream. As you read on, we'll explore crowdfunding. We'll look at how and why it started, and how you can use crowdfunding in its many different forms to finance your new business. We'll explore how to access the crowd correctly and how to ensure your project makes the best possible start. We'll also look at how you can invest in other people's dreams. So, come with us as we explore the crowdfunding revolution. Crowdfunding – the business of borrowing cash from a pool or crowd of investors – is big business. 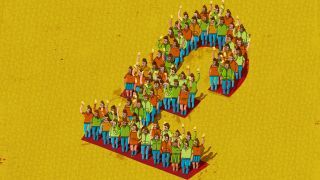 In a report, business consultants Deloitte claimed that in the UK alone, crowdfunding portals or pools raised £1.9 billion of investment capital during 2013. This compares with just under £1 billion in 2011. Globally, crowdfunding's vital statistics are simply astounding. Reliable figures are hard to come by, but Kickstarter's own metrics suggest its users have pledged $1,423,220,414 at the time of writing. That's just Kickstarter; many other platforms have risen since its inception. If you want further persuasion that crowdfunding is a sector you need to understand and watch, take the case of ElevationLab. The company wanted to make docking stations for Apple devices. Don't imagine some kind of piano-black Apple pastiche here, though. Think manufacturing processes that would make Rolls Royce blush and products that would make Jonathan Ive cry tears of joy. According to Massolution, Elevation's Kickstarter funding drive was the first individual campaign to reach the $1 million milestone. In all, it pulled in a total of $1,464,706 from Kickstarter investors. A few months later – in April 2012 – Pebble Technology, maker of boutique smartwatches, drew in $1 million of investment in just 28 hours. Overall, Pebble pulled in an amazing $10,266,845 of funding.